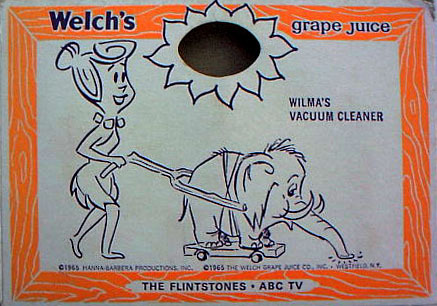 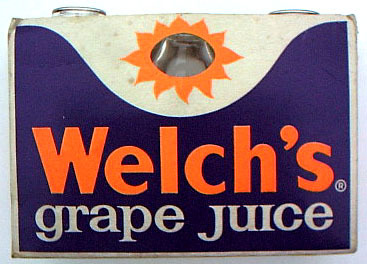 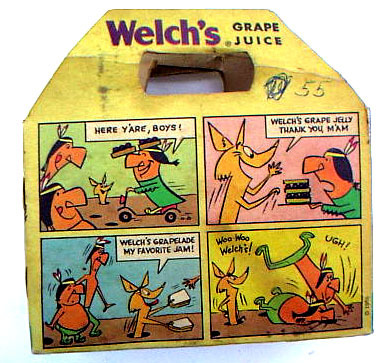 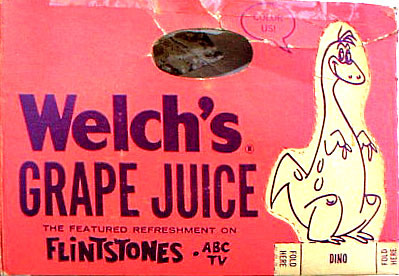 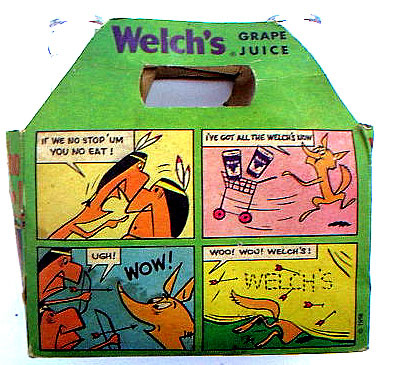 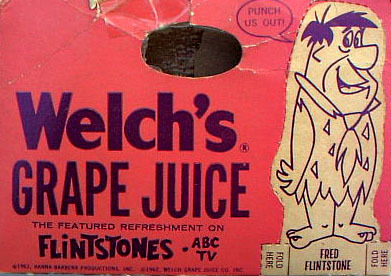 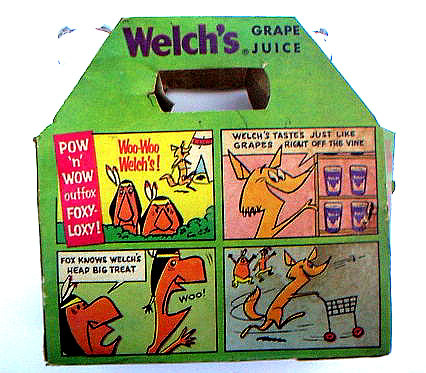 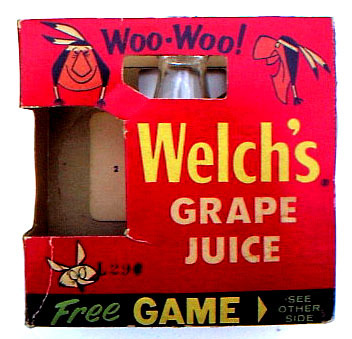 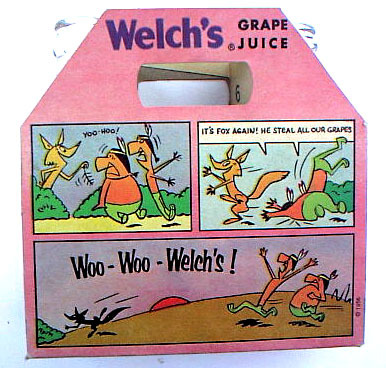 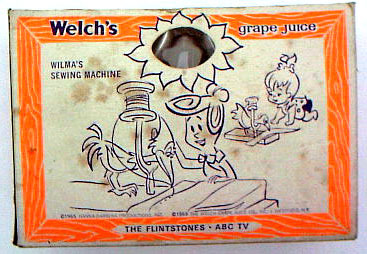 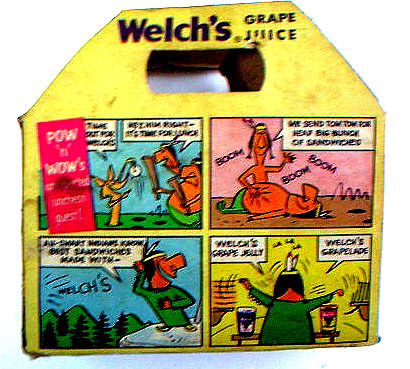 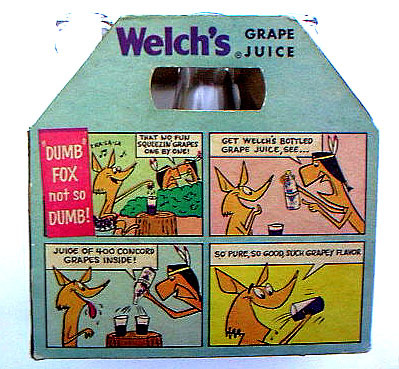 Listed below is Welchs Grape Juice packages and bottles. 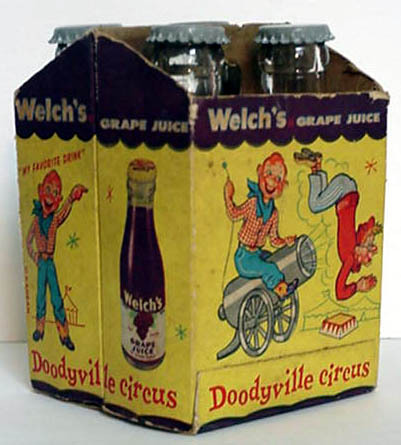 Welches sponsered Howdy Doody,the Mickey Mouse Club and later the Flintstones. 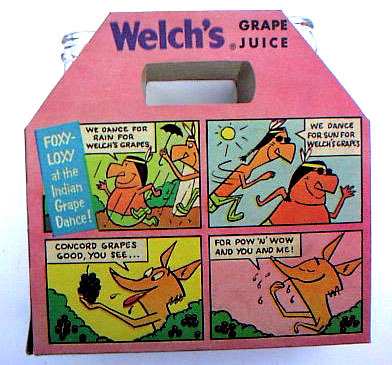 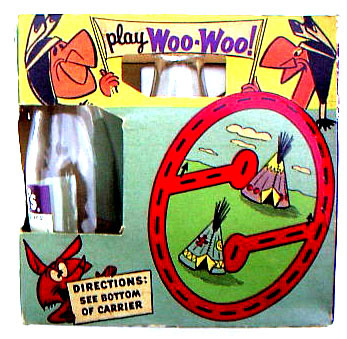 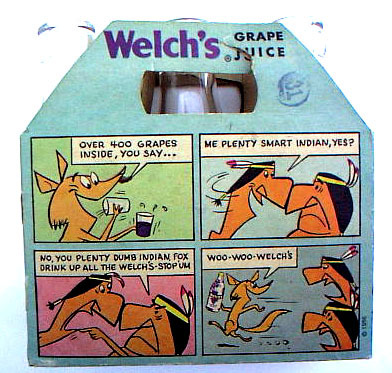 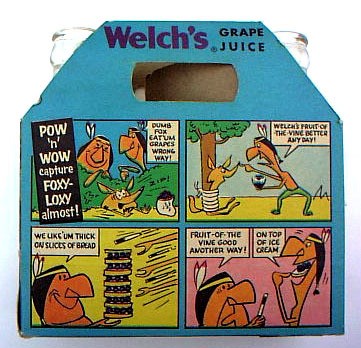 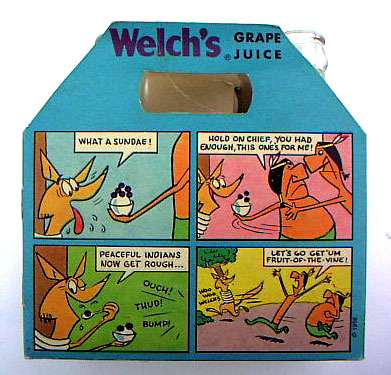 They had a pair of Indians that pitched the juice called Pow and Wow, the Woo Woo Indians. 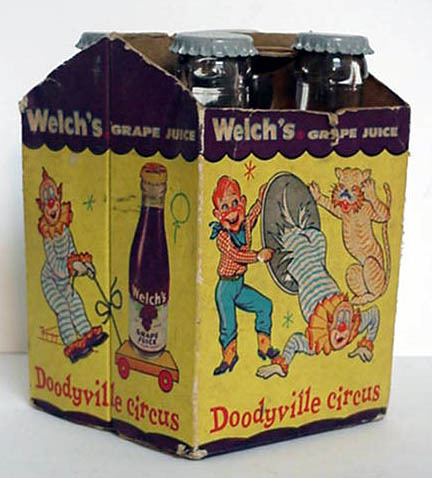 They appeared on alot of cool bottle carriers.